You can get great benefits with a tune up on your vehicle. It's one of the best ways to maintain its original performance. Regular engine tune-ups will boost engine performance and fuel economy. During every tune-up at Complete Auto Care, we inspect all of your engine components and install new parts (including spark plugs and fuel filters) as needed. 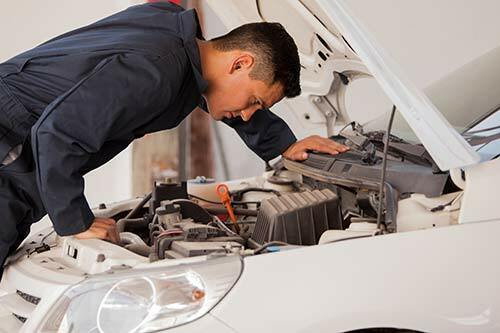 After a Complete Auto Care car tune-up, your engine will start easier, run smoother and be more efficient. Regular engine tune-ups will lower emissions, improve fuel economy and restore lost power to your vehicle’s engine. When you get a tune-up based on your vehicles manufacturer recommendations, you're investing in health of your car, keeping it on the road longer and saving time and money. The common parts that are replaced when tuning up a vehicle are spark plugs, plug wires, air filter and fuel filter. But, it's also a great time to check other components under the hood like belts, hoses and fluids.